Anti fatigue mats, Wheel Chair Ramps & Wedges, Speed Cushions, Speed Humps, Spill Barriers, Cable protectors and Safety mats. Anti-Fatigue Mats are fantastic for work stations and general purpose use where under foot comfort is required. 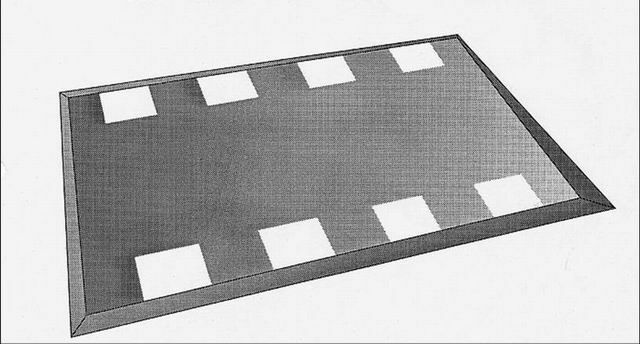 Anti Fatigue mats are vital in situations where people are required to stand for long periods. The matting helps combat back and leg pain and reduces fatigue. 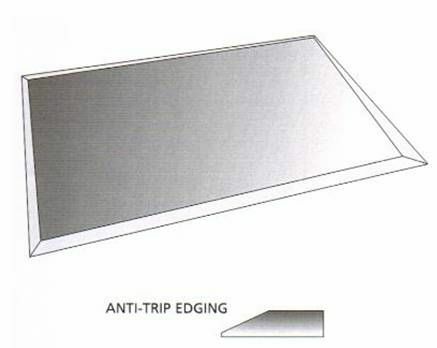 Anti-Fatigue Mats can be supplied in a variety of sizes, shape or thickness, available with anti trip edges making it safe. Made to your requirements, Wheelchair ramps and wedges are tough and long lasting, developed for the ease of access for wheelchairs and walking frames through doorways and entrances, Superior stability, wheelchair ramps and wedges will not slip, reducing the risks of trips and falls. Speed cushions are low profile and specially designed to reduce the speed of forklifts and small vehicles, Light weight and easy to install, they are durable and water resistant, and can be used indoors or out, Speed cushions are ideal to use in factories with yellow safety lines, Speed cushions come in Two lengths 1 metre and 1.5 metre, they are 600mm wide and 30mm high. Speed Humps are manufactured to Australian Standards, they are suitable for roadways driveways, and factories, Speed humps can be made with tapered at one or both ends or can have squared ends. Speed Humps are durable, weather resistant, and easy to install. Spill Barriers are a necessity where storage of any liquids is required. The barriers can be placed around storage tanks and machines to contain liquids and reduce the spread of spills contaminating adjoining areas. Cable protectors are designed to cover leads, cables and hoses that cross walkways, perfect for use at sports / concert venues and construction sites for temporary use or as a permanent fixture cable protectors can be glued or bolted to the substrate, they are light weight, easy to install and the sections interlock to achieve any length. Easy to install simply lay over the problem area.